Added on 03 May 2018 . By Anisah Audu. 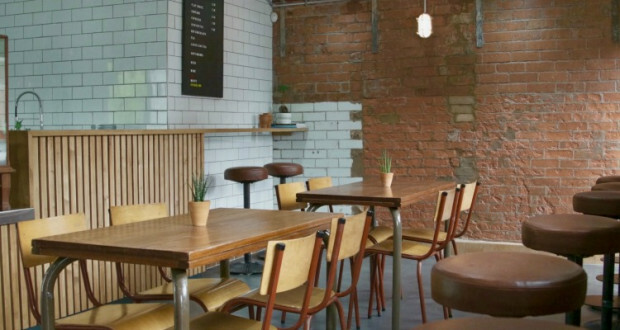 There's a new kid on the Bloc and it just might be your new favourite coffee spot. Transforming the former Victorian toilet block overlooking the beautiful Victoria Park, this coffee shop hopes to bring a new lease of life to the community. Serving fresh coffee, cakes and cava, Bloc stems from the Welsh spelling of “block” as an homage to the building’s past. Ever wanted a glass of fizz alongside your coffee? Well, look no further because you can have both at Bloc which draws inspiration from the coffee shops of Barcelona. Founders Alex Parker and Donna Paton also plan to host regular supper clubs, pop-ups and events such as book clubs. This could be one of the most lively abandoned toilet blocks around.